The property has been newly renovated and is in terrific condition. Less than 10 minutes walk to Burnley train station and the tram line. Close to Victoria Gardens Shopping centre. You will have your own Pin code to access the house and a remote control for the garage for your car or for additional storage. 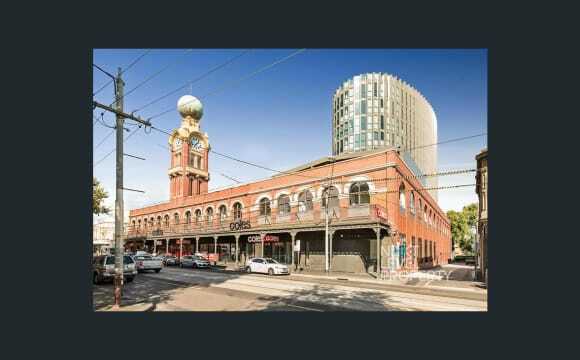 Great location on the corner of Swan St and Church St. With great views of Melbourne from the large balcony. Already furnished, also bed available to buy off my housemate as she is going over seas, so need a new housemate! This was a brand new apartment in December when we first moved in. Very modern and natural lighting. Move in date is early June however very flexible. Property available until December. The house has everything you need, Day bed, Netflix, Stan, Foxtel, Internet, dishwasher, washer &amp; dryer, air-con/heating and a fridge. Ideally we would love a young professional who is also chilled, clean, and loves to be social. We are not a party household, but we do like being social and have beers on the roof when we can! A Richmond Gem!!! This townhouse is situated a short walk from public transport, nice bars &amp; pubs, great food and right near Victoria Gardens shopping centre. The house itself comprises of a big lounge room with comfy chairs (quite suitable for a Netflix session), fully equipped big kitchen and adjoining dining area, THREE outdoor areas (small outdoor atrium in the middle of the first floor, back BBQ area and upstairs Balcony with city views), three bathrooms and two bedrooms that are situated on the second floor, with a third bedroom a spare room that is a garage converted into a spare room/storage space. Available is a private room in my Richmond apartment, with a secure underground car spot included. The location of the apartment is amazing, being only seconds away from Baby Pizza, Top Paddock and countless other cafes, bars and restaurants. Chapel St is just a short walk away, and public transport is convenient with East Richmond station nearby and a tram stop basically out the front door. If you're not into using your legs you've got the car spot! The place is fully furnished, fully equipped and ready to go - all you need is a bed. It was renovated a little over a year ago, so it's like new with all virtually new appliances and furniture. The balcony has great views including of the city and is a top spot to chill and sometimes catch fireworks. 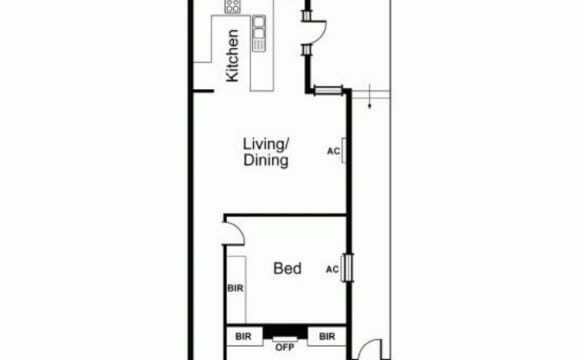 Includes a good sized living room TV (happy to split Netflix, Foxtel, whatever), Wifi, Dishwasher, Washer / Dryer, Ducted Heating / Cooling. No couples thanks! House is a homely feeling 1890's built terrace. 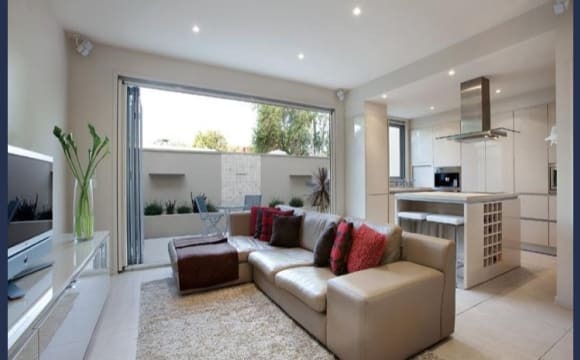 As typical with the style of house, it has high ceilings which gives it a great sense of space. Floorboards throughout the ground floor through to the living space. The place was recently recently renovated prior to us moving in so we have huge built in robes along with an updated kitchen with stone bench tops. We have a private front court yard is which is great for a few drinks in the summer. Added bonus of a small backyard with a clotheslines and a BBQ. Your room is upstairs. It includes an ensuite and ample storage. Lots of space and a lovely airy feel! Super close to Victoria Street and all it has to offer. Less than a 10 minute was from the Hive Shopping Centre which includes Woolworths and Aldi. Up the other direction is the Victoria Gardens Shopping Centre which is only 500m away. It houses IKEA, Coles, Hoyts Cinemas and Kmart to just name a few stores. Three minute walk from 24 hour gym with cheap weekly rates. Absolutely prime, Richmond location. Rent is $1,129 per calendar month. Bond is $1,400, payable to the previous housemate. Master bedroom - En-suite - Private balcony We have a master bedroom with en-suite available for rent (for females only) in a modern 2 storey, 3 bedroom townhouse in Richmond. The room can be furnished or unfurnished. The room has 2 BIR's, it's own large en-suite and private balcony. 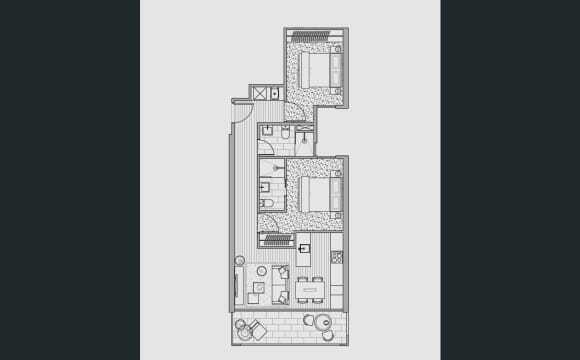 The apartment features a large living area with polished floor boards, large screen TV, ducted reverse cycle air conditioning and private balcony off the living area with BBQ. Fully equipped kitchen with dishwasher. Unlimited internet is included. A car space is available for a 12 month stay. 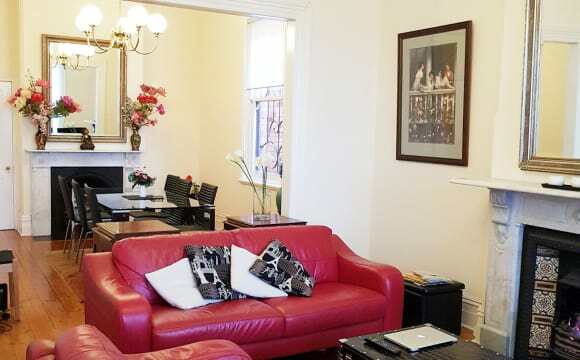 In a fantastic position, just around the corner from the Richmond train station (50m). 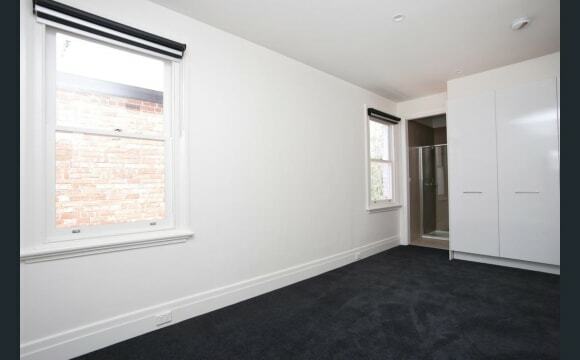 Short walk to Swan St, the tan, MCG and shops/supermarket. 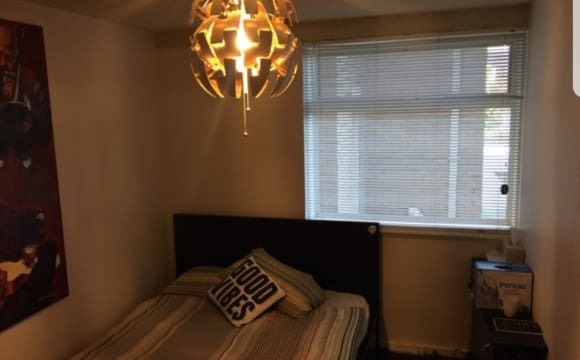 Large double bedroom available with BIR and access to own bathroom in a spacious ground floor apartment in a quiet and secure complex. Nice size patio with a BBQ and plenty of morning sun. The apartment is semi-furnished with room for some additional furniture if required. There is a also a secure garage car parking spot available. All the mod cons - Split system air con/heater, modern appliances, gas stove, granite bench tops etc. Perfect location on top of Richmond Hill, just off Church Street between Swan St and Bridge Rd. Plenty of public transport options with trams to the city from Bridge Rd and Swan St, as well as East Richmond train station being a 5 minute walk away. Easy walk to the MCG and Melbourne park. Lots of great pubs, restaurants and cafe's in the area. 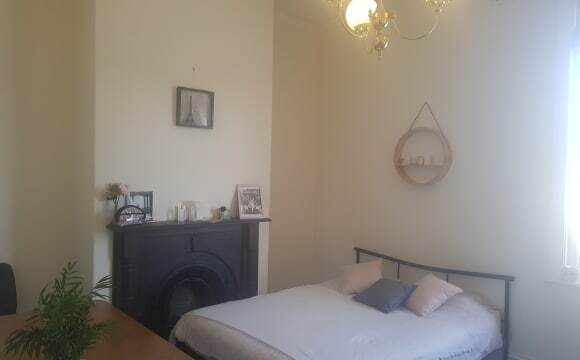 This apartment is in central Richmond between Swan st and Bridge no longer than a 10 minute walk from the train station. 5 minutes walk to most shops,restaurants pub, and clubs. The apartment is very clean with a modern look and has a lovely nice size courtyard which has a bbq tables chairs and benches. Looking for one couple OR two singles to become a part of our animal menagery home! Animal lovers a MUST! Us: I’m Maddie, 24, and I work in legal admin in the city full time and am studying part time. In my spare time, I love to catch up with friends for coffee or meals, walk dogs, and Netflix and chill. Rowan, 28, is a Hospo superstar and works in Richmond. He loves to watch the footy (rugby and AFL), go out for drinks and see friends. We are looking for people who are fun, social, considerate and house trained. It’s not a party house, but we love to socialise. The house: A lovely townhouse in Richmond/Burnley, just off Swan and Burnley Streets. 2 min walk to tram stop for tram lines 70, 75 and also 48. 7 min walk to Burnley Station, and nice and close the Burnley Park, can stroll down to the Swan St strip or take a short tram ride. House has 3bdrm’s – 2 are available, 1 is smaller with BIR, the other is slightly bigger and comes semi-furnished with a bed, small bed side table and small closet. 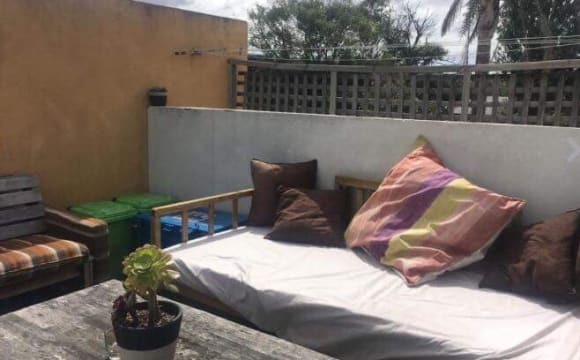 The house is suitable for 4 people, but 5 may be a crowd, so we are looking for 2 people to fill a room each OR a couple to fill their choice of one of the rooms 😊 The house is furnished, including a washing machine, dishwasher, fridge – all the usual things, it would just be your bedroom things that you need to bring. There’s also a lovely decked area out the back where we play movies via the projector, have a drink, or sit out in the sun and chill out. The animals: Our new housemates MUST love animals, as we have two dogs and a cheeky kitty who we have inside and outside. Jasper is a 3 year old, needy, beautiful Border Collie, who will do anything for some pats and attention. Luna is a 1 year old polar bear who will do anything for Jasper’s attention. Jinx is a 1.5 yr old kitty who has two moods: one where she sprints around like there’s no tomorrow, the other, super affectionate and will lick your nose. Therefore, we really need housemates who will love them and tolerate their antics 😉 The deets: $217/wk/pp – whether in a couple, or as a single, we split the rent by 4. $1100 bond to be paid to our lovely housemates who are sadly leaving us for their next adventure Bills are reasonable and also split by 4. Move in: ‪15th May‬ (which is the start of the rent cycle). Let us know if you have any questions, we look forward to meeting our new roomies! 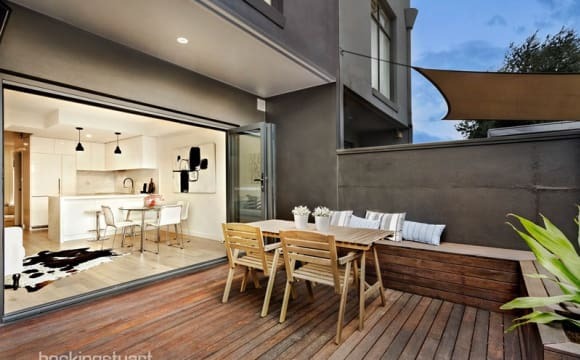 The property is situated just off Bridge Road and is super convenient with trams 48 and 75 heading towards the city as well as 109 on Victoria Street and trams on Church Street that connect to South Yarra, Prahran and St Kida with access to Swan Street and Richmond train station. Coles, McDonald’s, IKEA, a police station, clinic, town hall and other conveniences are only 5-15 minutes walking distance. There is also a dentist, hair salon and fusion restaurant within the grounds of the apartment complex. Go Get car share services are available in the area and you will find beautiful cafes, amazing Vietnamese cuisine and grocers too. If you are into the footy or other sporting/ entertainment events, the MCG is also just a tram ride away or a nice 20 minute walk. The bedroom is unfurnished, fully carpeted and includes built in robes and air-conditioning/heating. The living area comes with a mounted 40 inch Samsung TV and a kitchen island that is perfect for dining. The kitchen is equipped with top quality stove, oven and range hood which is awesome if you’re into cooking. There is also plenty of storage space in the kitchen and living area to store books, food and crockery. The bathroom has a rainforest shower and ample storage. 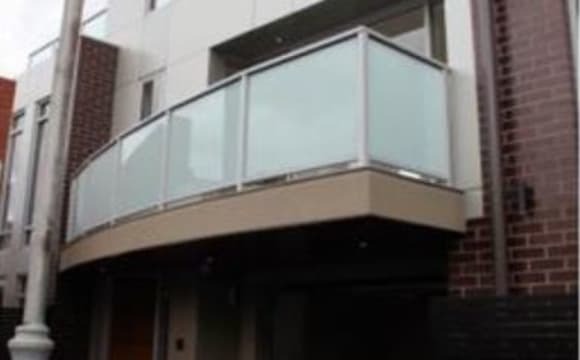 The outdoor terrace is bigger than a standard apartment balcony and leads to a common garden that connects to the gym with lift access to the rooftop area giving you spectacular views of Melbourne city skyline and the eastern suburbs. If this is of interest, please send a message for more info and to schedule a viewing. Thank you and happy house hunting! Hey there! The house is on a very quiet little laneway in Richmond. It has two bedrooms at the front, one at the back. The room available, shown in the photos, is at the very front of the house. It has a lovely big window that looks out onto the balcony, as well as a fire place. There are two bathrooms, one is an ensuite to the back room. The other is shared between the two front rooms - you will be sharing it with Tom :) We have a lovely big sunlit living room with a connected 'study-space'/storage mezzanine. Will are currently looking for a new couch, our housemate who is moving will be taking the one in the pics. 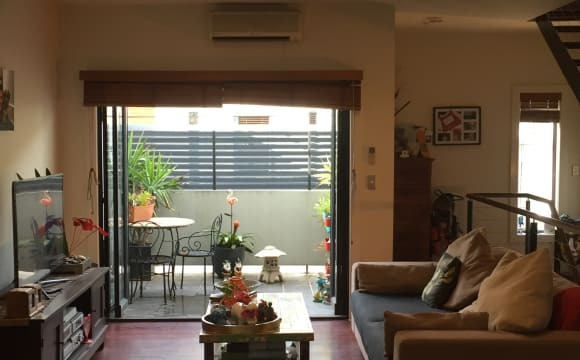 The kitchen has ample storage, a gas stove, a dishwasher, a fridge, and backs onto a super cute courtyard which we use when we have people round! Oh also we have a washing machine, vacuum, and two irons too yay! Great location! Share this bright, secure 2 story townhouse with 1 other. 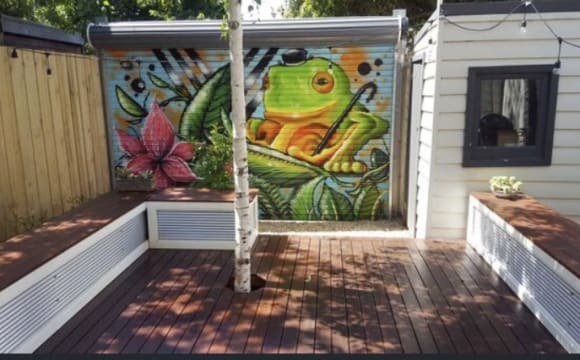 Enjoy a scenic stroll along the Yarra River or dog friendly Burnley Park, just seconds from your back door. Situated between Swan st and Bridge rd, its just a short walk to Richmond's cafes, restaurants and bars, as well as trams (70, 75 and 48). And a 15 min walk to Victoria Gardens shopping centre. Located in a modern, quiet complex that almost has a resort style feel. 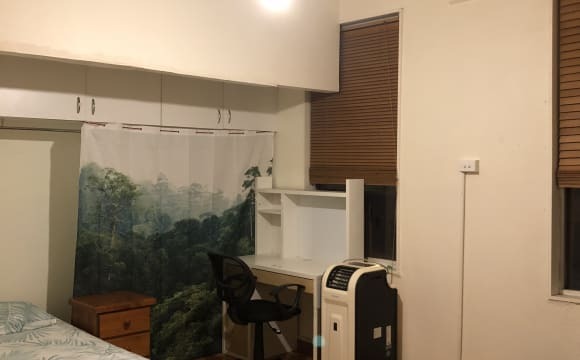 Fully furnished, the property also features: •	Newly renovated Bathroom (Completed November 2018) •	Good kitchen and ample bench space with modern electrical appliances •	Split system Air-conditioning •	Balcony, ideal for entertaining or relaxing and taking in the evening breezes •	Private entry in a quiet location •	Private laundry and washing machine •	Heaps of natural light both upstairs and downstairs. On street parking available. I have been here nearly 2 years and love it! Must be dog friendly as my min. Schnauzer Herbie visits fortnightly. Your bedroom is carpeted, unfurnished and will easily fit a queen or even king size bed. It also has two large built in wardrobes, heating and a bright, leafy outlook. Internet, Water &amp; Electricity not included in Rent. I will try to keep it brief; -Apartment is only 4 years old. 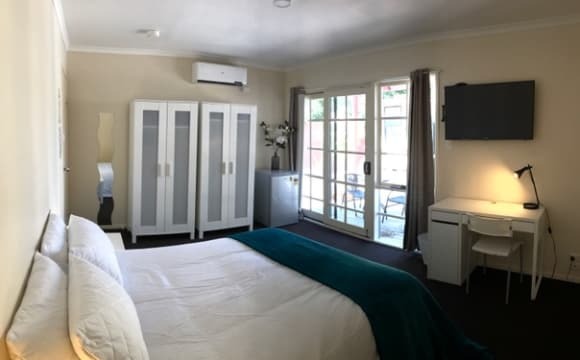 -Fully furnished (bed only at this stage in 2nd bedroom), - couch, fridge, washing machine, TV, BBQ etc all included -2nd bedroom has large built in robes and extra storage facilities are available. 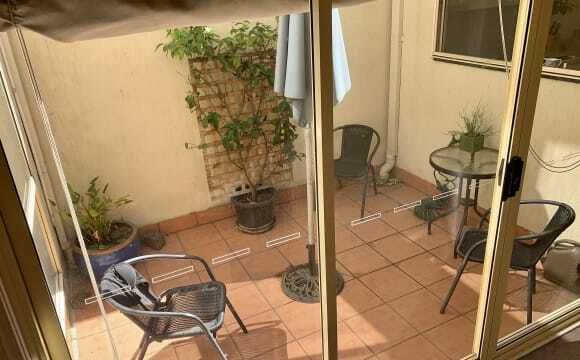 - You have your own private bathroom -Large outdoor balcony with outdoor setting and BBQ. 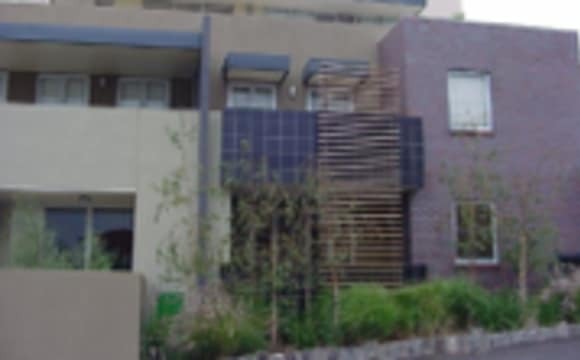 -Building facilities, gym, spa, sauna, billiards room, 8 seater theatre full foxtel and sunny outdoor areas (on rooftop) -Brand new Coles supermarket literally at the front door The building facilities include open rooftop access, gymnasium, spa and sauna. Pool room and 8 seater cinema as pictured. Full kitchen and entertaining area that you can hire anytime for parties etc. -Tram stop at the front door. Richmond train station 200 metres away. Melbourne's sporting precinct (MCG, AAMI stadium, Tennis Centre etc) are about a 5min walk away. -A plethora of Melbourne's best cafes, restaurants and pubs all within walking distance.